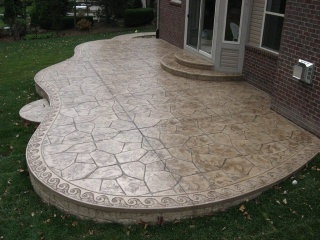 Stamped concrete turns ordinary concrete into something beautiful. There are hundreds of patterns and designs to choose from. It is being used inside homes, for exterior patios, walkways, driveways, and pool decks. 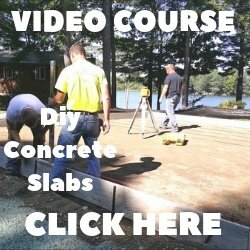 If you're interested in stamping a concrete project you have, read on and learn about all the possibilities it has to offer. The popularity of concrete stamping or imprinted concrete keeps growning every year. A majority of estimates I'm doing are for stamped_concrete patios, or a stamped_concrete driveway, or for coloring and stamping a concrete pool deck. By stamping the concrete it can be made to look like fieldstone, cobblestone, wood, brick, tile and many other types of patterns. The choices are limitless. Concrete stamping offers a number of advantages when compared to other materials like asphalt, natural stone, and precast pavers. Available in many colors and patterns, concrete stamping offers many design possibilities. Durable and long lasting, will last for decades when properly installed and maintained. 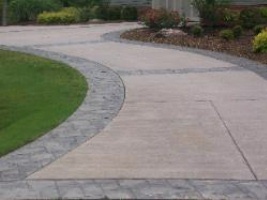 Can be installed about twice as fast as natural stone or precast pavers. Can be customized with a one of a kind design of logo. No special maintenance requirements, just wash occasionally and reseal every few years. Better resistance to moisture and heavy traffic areas. Good light reflectivity if lightly colored. Here is a brief overview on how we stamp and texture concrete. Patterning concrete is an art, it may be best to hire a professional. 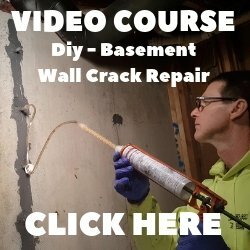 We usually color the concrete, pour the patio or driveway and wait until it is almost hard enough to walk on without sinking in more than a 1/4 to 3/8 of an inch. Then we cover the surface with a powdered or liquid release agent this keeps the stamps from sticking to the surface. It also adds an antique effect to the final finish. The next step is to press the rubber stamps into the surface of the concrete pull them up and the texture or pattern is left. 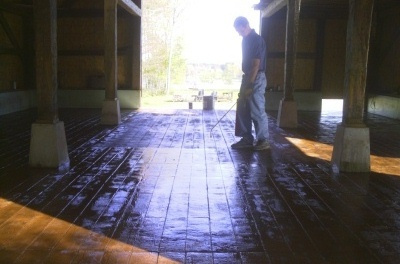 After it cures saw in the expansion joints and apply a good quality concrete sealer. 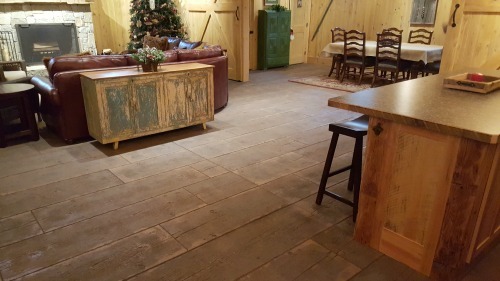 The end result can be a beautiful concrete slab that looks like slate, stone or even wood planks. The versatility of concrete stamping is probably its biggest asset. With all the different integral concrete colors, concrete acid stains, textures, and patterns that are available there is something for everyone. It can be combined with exposed aggregate finishes or add a border to enhance the look of a particular pattern. The durability of concrete and the look of professionally stamped decorative concrete is making the choice an easier one for homeowners when comparing cost and maintenance.